We just cannot imagine our lives without smartphones, even for a short while, and NSA whistleblower Edward Snowden had not owned a smartphone since 2013 when he began leaking NSA documents that exposed the government’s global surveillance program. Snowden fears that cellular signals of the smartphone could be used to locate him, but now, to combat this, he has designed an iPhone case that would detect and fight against government snooping. With help from renowned hardware hacker Andrew "Bunnie" Huang, Snowden has devised the design, which they refer to as an "Introspection Engine," that would keep journalists, activists, and human rights workers from being tracked by their own devices leaking their location details. "This work aims to give journalists the tools to know when their smartphones are tracking or disclosing their location when the devices are supposed to be in airplane mode," Huang and Snowden wrote in a blog post published Thursday. "We propose to accomplish this via direct introspection of signals controlling the phone’s radio hardware." For now, the design is aimed only at iPhone 6 models, but the duo hopes to create specifications for a large number of devices. Snowden, together with Huang, presented on Thursday at the MIT Media Lab the design for a case-like add-on device that could modify an iPhone, allowing you to monitor various radio signals inside the phone to confirm they’re not transmitting data when they’re meant to be off. Once built, the hardware case will be a separate minicomputer – work independent from your phone – made up entirely of open source hardware, containing its own battery and a small mono-color screen to provide a real-time status of your phone. The case will have tiny probe wires to attach to a modified iPhone that physically wires into the phone’s antennas used by its radios, including cellular connectivity, GPS, Bluetooth, and Wi-Fi, through the SIM card slot. The Introspection Engine will then be able to monitor radio transmissions and alert users to any unauthorized output signals it isn’t supposed to. In addition to alerting users, the case will even be able to shut down all radio signals on a phone to prevent governments as well as hackers from finding your location. 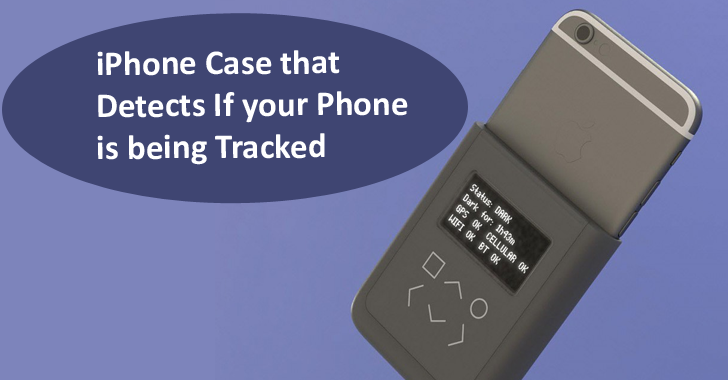 Since this case is designed to be independent of your phone, it would prevent your device from malware that activates radios without your knowledge. "Malware packages, peddled by hackers at a price accessible to private individuals, can activate radios without any indication from the user interface," the duo wrote. "Trusting a phone that has been hacked to go into airplane mode is like trusting a drunk person to judge if they are sober enough to drive." Instead, Snowden and Huang suggest the beauty of using external hardware as a shield is that it would not be affected if malware has infected your phone. "The core principle is simple: if the reporter expects radios to be off, alert the user when they are turned on," they added. The Introspection Engine’s mission is to warn users when malware or technical glitches are causing your phone to rat out your location. However, the hardware case is still nothing more than a design for now. Supported by the Freedom of the Press Foundation, Snowden and Huang are hoping to build a real-world prototype device over the next year in the hopes of making the case available to journalists as soon as possible.